“The ambition is to create a complete hospital masterplan with a brand new identity,” said Kim Holst Jensen, Partner at schmidt hammer lassen architects. Based on a careful analysis of the surrounding landscape, the existing buildings and the infrastructural conditions, the new design relocates the main entrance to the west of the existing hospital. By relocating the main entrance the hospital gets a whole new identity, and the main entrance becomes visible and clear to patients and relatives. 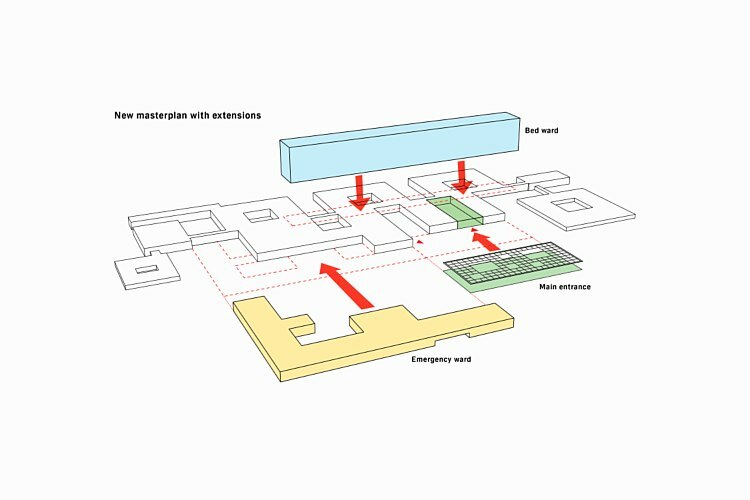 At the same time the internal flow of the hospital is maintained and reinforced, while the entire hospital will be perceived as a complete structure where buildings and the nearby surroundings complement each other. 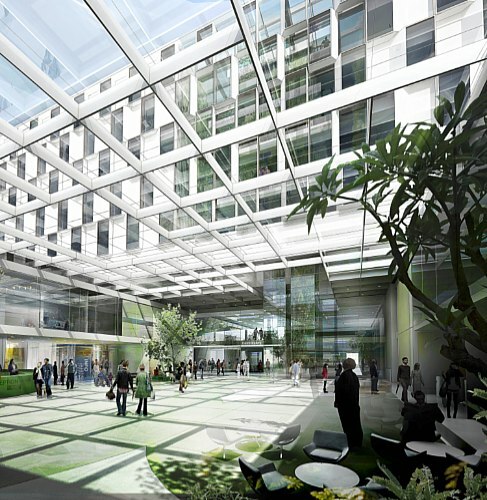 At schmidt hammer lassen architects architecture is first and foremost designed for humans. By focusing on sensuality and presence, and with respect for the systems and the structures every hospital consists of, the ambition is to create architectural solutions that meet the needs of patients, relatives and staff while maintaining focus on human beings. Though Kolding Hospital is the first hospital project for schmidt hammer lassen architects the practice is pursuing other possibilities in the field. 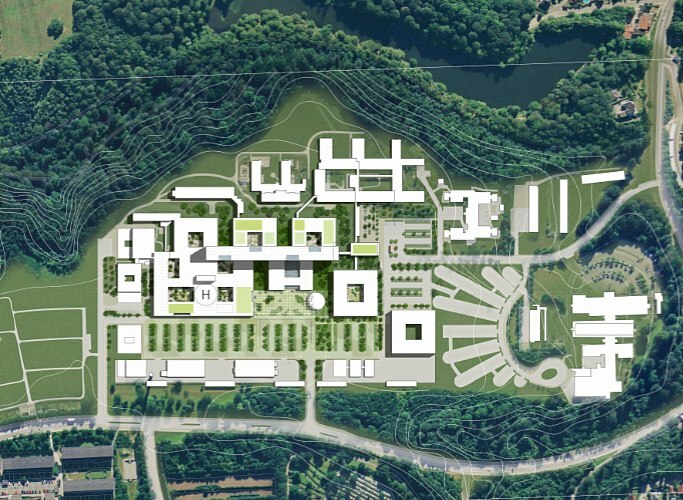 Currently, the practice is finishing another hospital competition with a proposal for the new Herlev Hospital. 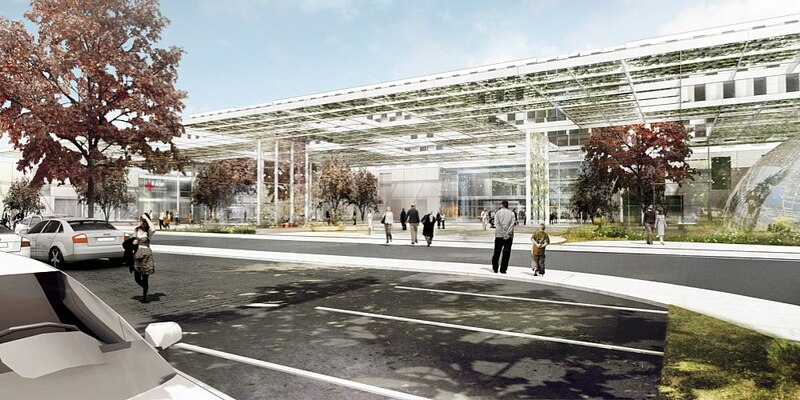 The extension of Kolding Hospital has a construction sum of approx € 77 million and is expected to be completed in 2014.